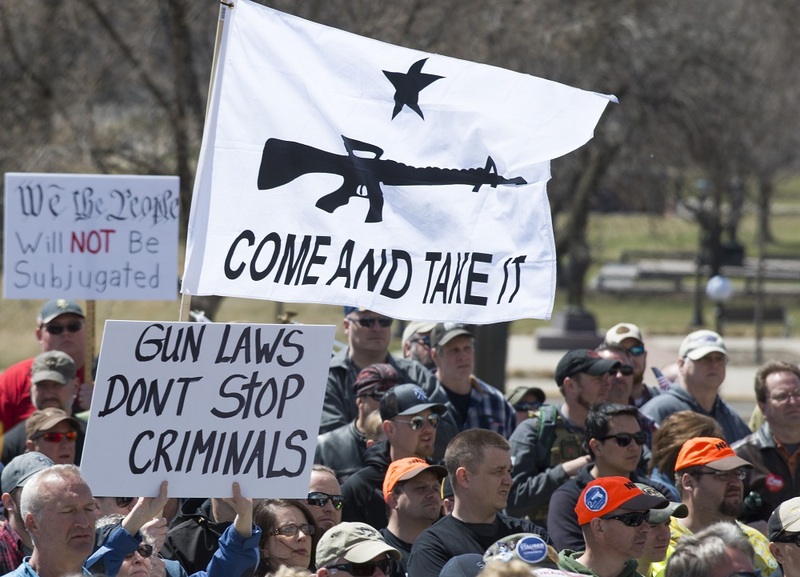 Gun control activists aren’t just targeting the Second Amendment anymore. They now have their sights set on the First Amendment as well, arguing that the mere knowledge of how guns work should also be banned by the federal government. In an MSNBC segment on Wednesday, retired astronaut Mark Kelly called for criminalizing 3-D printed gun designs to discourage people from disseminating the computerized code. “You can make it illegal to possess ’em and that’ll discourage a lot of people,” Kelly said. “It’s illegal to own an untraceable and undetectable firearm at this point,” he said, citing the Undetectable Firearms Act of 1988. 3-D printed gun pioneer Cody Wilson, the genesis of the recent flare-up over the concept, was complying with that law when he posted a design for this type of weapon online in 2013. Kelly, whose wife is former Arizona Congresswoman Gabrielle Giffords, cited the Las Vegas shooting as reason to ban bump stocks and outlaw computerized code that’s been disseminated online for many years already. “Public safety is important,” he said. On Tuesday, a federal judge ruled that posting designs for 3-D printed guns online is illegal — a decision that will likely be challenged — after the State Department dropped its five-year-long case against Wilson in July. As The Federalist’s David Harsanyi notes, however, it’s not illegal to build your own gun so long as the firearm complies with federal gun regulations.